TelOne, is set to launch Africa's first fully converged linear on-demand news and entertainment streaming service in partnership with South African on-demand specialist, Discover Digital, the Zim Techreview reported. True to an Innovation culture and driven by partnerships, TelOne working with Discover Digital will launch the Digital Entertainment On Demand (DEOD) service to viewers today 3 October, giving Zimbabweans access to a range of exciting new viewing options. The new on-demand services will be bundled with TelOne broadband. Customers will have the option to Subscribe to On Demand packages, offering series, kids programming, a catalogue of movies, music videos, documentaries and lifestyle programming, as well as subscribe to a selection of TV channels, getting access to News, Sport and Inspiration channels, all at competitive prices and over various terms. Customers can also rent the latest movies, and individual library movies not included in the subscription on-demand package, even without a subscription. DEOD has integrated payment channels that will allow customers to subscribe, and buy/rent movies using mobile money and other digital payment platforms as well as purchase vouchers in-store at any TelOne outlet. "TelOne is excited to be launching this ground-breaking service, which will enhance our service offering to our broadband customers. With the coming of our Fixed mobile Converged network, the partnership with DEOD (Digital Entertainment On Demand) will ensure that TelOne re asserts itself in the market as a giant in the digital communication and entertainment space" said Mrs Chipo Mtasa, TelOne Managing Director. Discover Digital Managing Director, Stephen Watson, says the new converged, linear channel and on demand (VOD) service, offers Zimbabweans a one stop shop of subscription video on demand (SVOD), transactional video on demand (TVOD) and TV channels (Linear). "This is an exciting launch on a number of fronts. But in particular because it is a significant move for a Tier 1 state-owned African telco business going to market with an advanced digital entertainment offering such as this." Watson commends TelOne on its foresight in launching the value-added services. "TelOne is an early adopter in Africa in terms of building compelling value added services to complement its data offerings. There is a strong realisation that as a telco, it cannot continue with a pure voice and data play, it needs to change its models and move with the times. 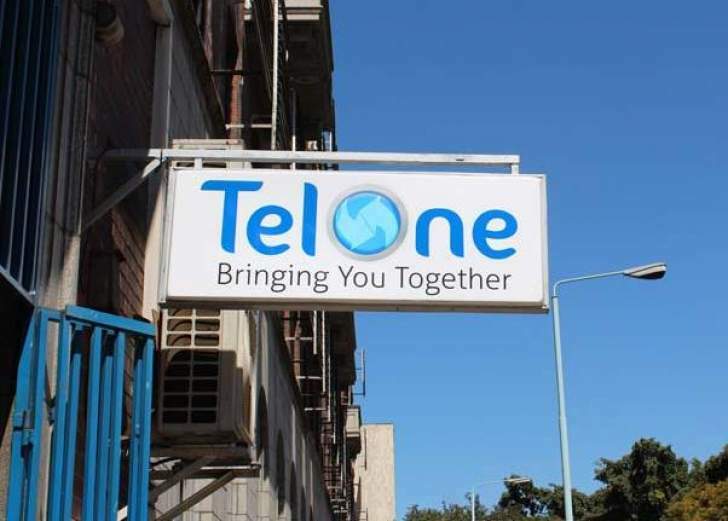 Despite the stringent procurement criteria it is subject to as a state-owned entity, TelOne has moved quickly towards a sustainable model that delivers additional value to its customers." TelOne has redefined itself to become a world-class Fixed Mobile Converged (FMC) communication service provider that offers fast, affordable and reliable telecommunication services to people, homes, businesses, educational institutions and Government departments all over Zimbabwe through its Infrastructure and Wholesale as well as Retail Divisions. TelOne has the widest network coverage in Zimbabwe anchored on its robust backbone infrastructure, fibre, satellite and traditional copper. It delivers high internet bandwidth to the ordinary Zimbabwean at the lowest prices due to its shareholding in the West Indian Ocean Cable Company (WIOCC), which has a major stake in the East African Submarine System (EASSy) cable as well as West Africa Cable System (WACS). TelOne has strategically launched DEOD after the recent completion of the $98 million China Exim facility supported National Broadband Project which has enabled the landing of internet bandwidth at a lower cost and enhanced the deployment of Fibre to the Home having already passed 33,000 homes and targeting 100,000 by 2019. The company believes that innovation is key to survival in the digital age and has continued on a path to strengthen research, development and innovation unit, which has delivered the DEOD product that we are launching. TelOne is continuing to expolore the value added services space as a way to enhance our service offering and improve client experience while increasing revenue streams.